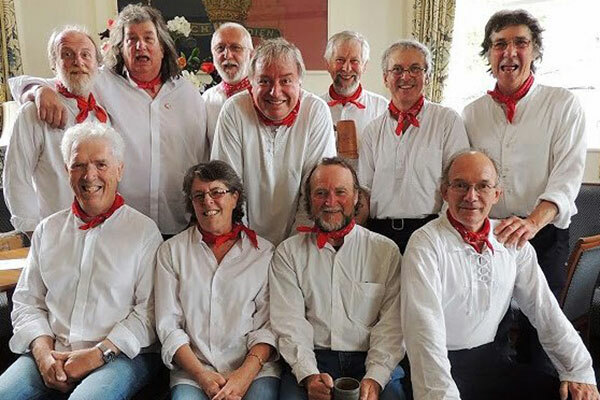 The Wareham Whalers have been rocking the boat with their powerful shanties since 2004. Over that time they have seen many changes, but Commodore, Dave Wheatley remains at the helm. They sing Shanties as they would have been sung for work on board ship and for the rare moments of recovery down below. They aim to capture the strength of this music and ensure that there is never a dull moment when the Whalers are about! Somebody once made the mistake of spelling their name Wareham Wailers – their Bosun ensured that that would never be repeated. They are indomitable supporters of the Falmouth International Shanty Festival, and can be seen all over the town during that weekend. Closer to their home port of Wareham, they support their local RNLI, and collect charity money for the Wareham and Purbeck Multiple Sclerosis Society.